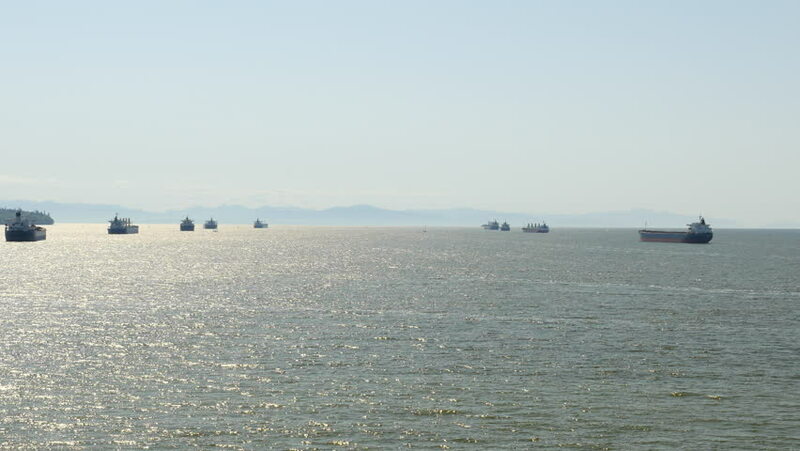 Vancouver - English Bay - 24P - ProRes 4:2:2 10 Bit - UHD 4K Ships in English Bay, Vancouver. hd00:18Waves on sandy beach at sunset. Italian coastline. Movie shot at Riccione. Landscape to Rimini to the high roller. haze caused by particles of water.